The Château Mont-Redon is located on the highest of Châteauneuf-du-Pape slopes, between Orange and Avignon. 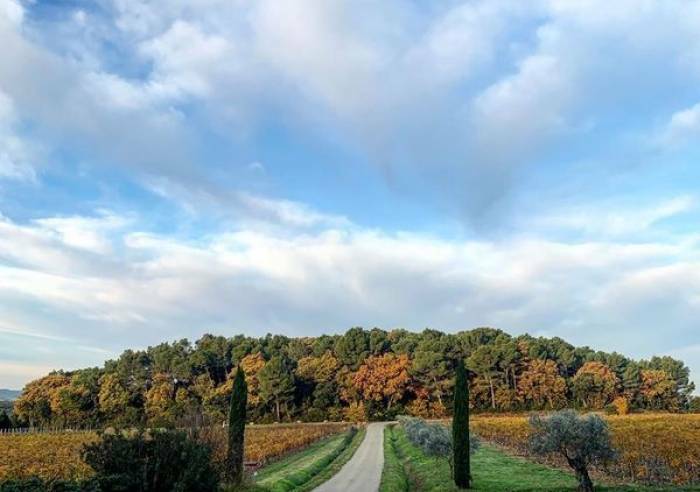 We produce wines for three different appellations of the southern Rhône area: Châteauneuf-du-Pape; Lirac and Côtes-du-Rhône. Our Châteauneuf-du-Pape is made using 13 different varieties of grape, our Lirac and Côtes-du-Rhône use three or four. The secret to our success lies in our canny blend! We work according to integrated agriculture principles underpinned by our observation of the land and our respect for the environment. Our practical new harvest reception line was designed using cutting-edge technology with two automated XTRI optic sorting tables. Sorting is very important in that the quality of our great wines hinges on it. The camera lenses perform a final check after the manual sorting stage, for individual grape selection. Only whole fruit can pass the test of this brand new technique, the first prototype to be installed in the Rhône region. This powerful device only lets the very best fruit through to the wine barrels. Tasting sessions can be organised. Car park, Parking, Coach parking Sales on site, Repair kit.